Drie kunstenaars, met een christelijke, joodse en islamitische achtergrond, reflecteren in deze presentatie op de rol van religie op hun persoon en werk. Een nacht van getalenteerde Afrikaanse stemmen die door middel van spoken word en muziek hun roots opzoeken en vieren. This exhibition primarily revolves around fairy tales and misreadings of the image and materials. ArtTable Netherlands, an association of leading women in the art world, celebrates its 10th anniversary with an international symposium on ‘soft power’ and a performance by Alexis Blake in the Rijksmuseum Amsterdam. Any and all all welcome to show what they've been working on in this open stage. Dance, poetry, music, any language, any time period. All genres and formats are welcome. This two session workshop will introduce how to write grant and funding applications for official, governmental funding bodies and explore funding resources and alternative funding opportunities. How to write a grant application workshops are hosted in collaboration with funding magician, curator, project manager, and editor Margarita Osipian on Tuesday 24 November and Wednesday 2 December 2015 at the Side Room, Amsterdam. Speciale, Black Magic Woman editie van spoken word evenement I Speak gepresenteerd door Gershwin Bonevacia. 'Dirty water' is the vantage point for a new exhibition at the Schatjes gallery in Amsterdam; a creative space in the Red Light District where imperfection and experimentation are the norm and where 'dirty' is not necessarily a negative thing. Clare Murphy is an Irish storyteller living in London, and for the Mezrab she'll perform her adaptation of the stories of a Syrian writer in exile. An evening of old Celtic tales with a familiarity that reaches through the ages. Sarah van Lamsweerde’s project Paper is a Leaf That Will Destroy Us in its Fall explores this past tradition, and questions what it would mean to develop such a tangible ideographic tool in this age of virtual images and communications. Inspiring for everyone interested in the future of the city and in The Hague in particular. The lecture cuts across all disciplines to stimulate rethinking the present. An afternoon with and on imagination, sustainability and climate change, where art and politics meet, question and inspire each other. Idiotic Code: On Resistant Usership is a multi-disciplinary seminar accompanying the (anti-) cybernetic steam bath C'hu which opens at W139 from Friday 9 October until Saturday 7 November 2015. 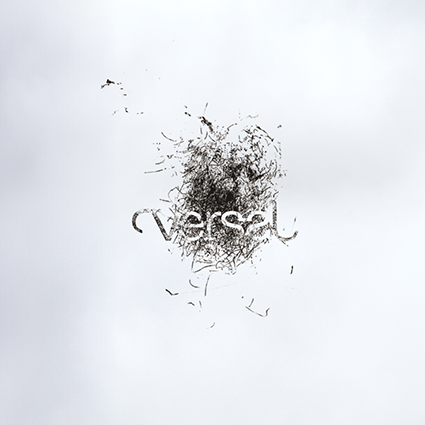 VERSO / live jour- nal: "Mercury"
Season 2 of VERSO / continues with editor Margarita Osipian, Canadian poet Megan Fernandes, and a new translation of German writer Wolfgang Hilbig by Isabel Fargo Cole. Do you have a great idea for a book but don't know if it's worth pursuing? Perhaps you've already started writing it but despair of finding a publisher? This is your chance! Its back! After a period in captivity, the ape-based comedy show is back at easylaughs. Come play with the monkey!